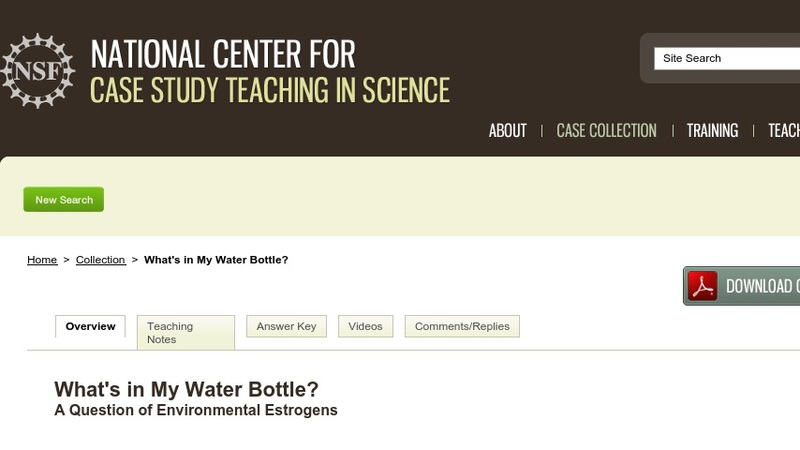 In this interrupted case study, two students explore evidence suggesting that environmental estrogens leach out of some plastic containers and that these chemicals have a negative impact on the development of mammals. Students analyze data, consider the quality of the data, and then develop their own conclusions. They are also asked to consider their role as future scientists in teaching society about potentially harmful chemicals. This case study could be used in upper-level anatomy and physiology courses or in a developmental biology course.